Well, most of us live with multiple devices and we always need to carry their chargers every day. Have you frustrated with the tangled charging cables on your desk? How about organizing them into one power station at your desk lamp? 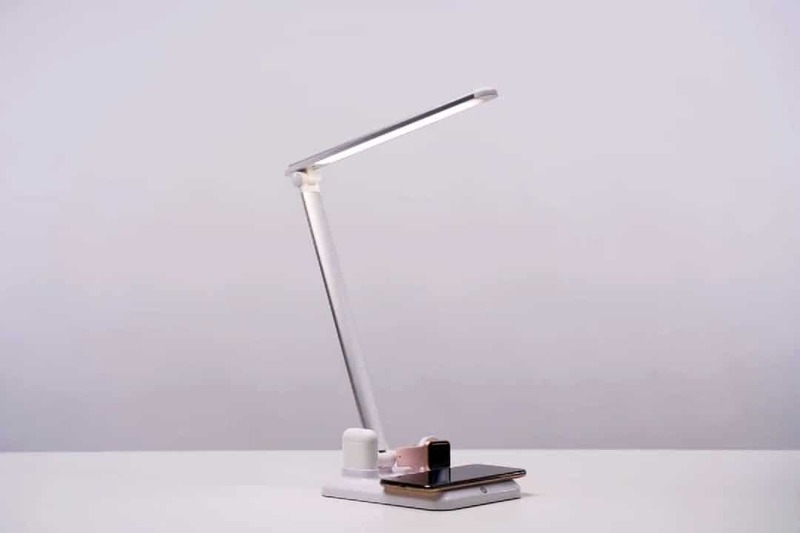 The ToQi Base company has created a new all-in-one desk lamp called “ToQi Base” that combined most of the necessary features that you wish to have on your desk. ToQi Base is the ultimate power dock converging universal wireless charger and smart LED lamp. It is created to liberate modern life from cords and mess. This powerful multi-tasking wizard was born for users of iPhone, Apple Watch and AirPods. No need to worry if you are not an iPhone user! 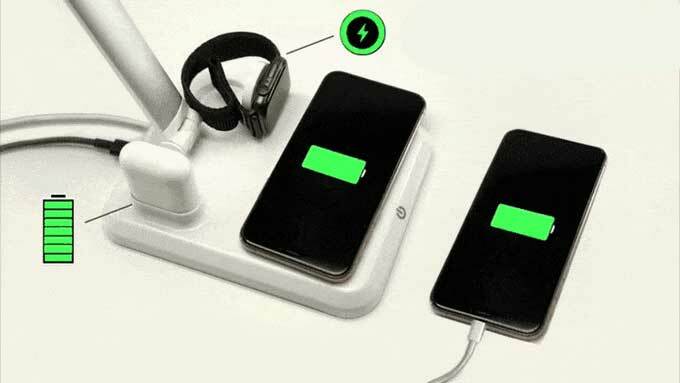 The lamp charger also comes compatible with all other Qi-enabled Android smartphones and features extra USB port on its back to connect charging cords for all. 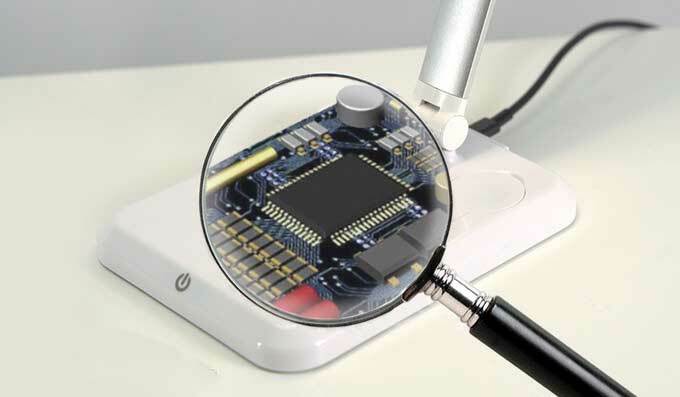 It can charge up to five devices wirelessly at the same time. ToQi Base can charge up to five devices simultaneously. Moreover, it comes with touch-sensitive LED light, which enables you to adjust the different three moods of the light with one touch- Sleep, Relax, Study. ToQi Base provides the best eye-safe light for daily use; tested to be free of blue light and flicker light. It uses only 5 watts to generate 360 lumens of light, which makes it super friendly to your power bills. Equipped with Qi wireless charging technology, it allows you to charge your phones by simply placing it on the lamp base. When your phone, watch, earbuds, and battery are charging just by passively resting on the lamp base, more space is created for your desk, free of unwanted cords; and your mind is rid of the hassle for what truly matters. The wireless charging pad will allow speedy charge up to 10W. 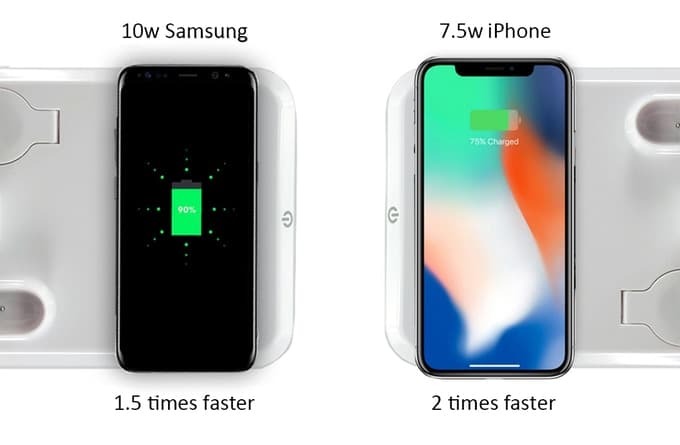 It will fast charge your iPhone X/8/8 Plus up to 7.5W, or Samsung Galaxy S9/S8/S7/note 8 up to 10W. Additionally, it automatically stops charging when your device is fully charged, which makes it able to prevent electronic failures caused by excess heat or voltage. ToQi Base comes compatible with all the Apple Watch series available in the market- 1/2/3/4. The 90-degree rotation charging pad enables you to charge your watch in different angles. Additionally, the notch on the other side seamlessly matches with your Airpods case, which starts charging at 2W automatically once back in the sweet spot. Also, with the weight of just 1.3 lbs (601g) and the foldable design, ToQi is made of ultra-durable and lightweight ABS material. You can put it in your bag or backpack to travel from home to office. The modern, minimal design will fit in with any stylish setting.